The classic distressed appearance of the surround produced from solid Acacia ,This unique fireplace will provide a guaranteed focal point for any environment. 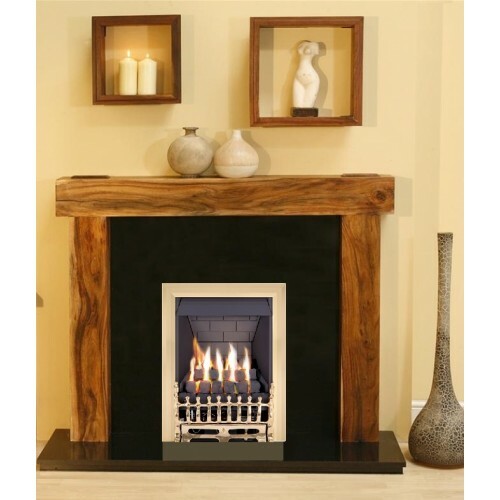 Complimented by a polished Brass Blenheim coal Gas fire A real flame radiant gas fire. 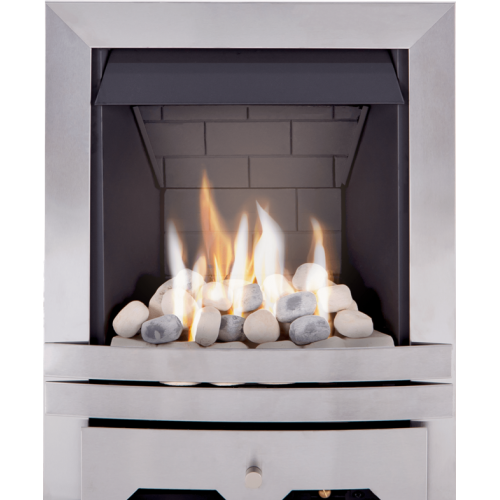 This fire has a heat output of 3.1kw. 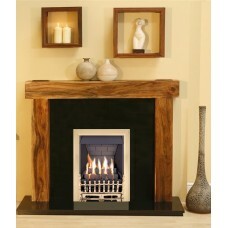 The Pure Black Granite Hearth and Back panel 54" set.